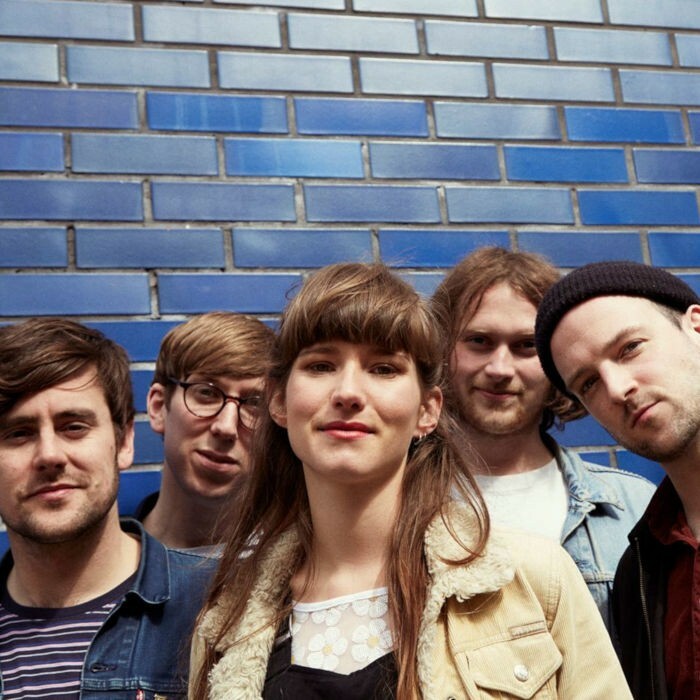 It has been a whirlwind couple of years for transatlantic indie-pop quintet Night Flowers since these close friends from North England collided with Boston, Massachusetts born vocalist Sophia Pettit in London and began forming their irresistible brand of heart stirring, romantic pop. A joyous combination of intertwining female/male vocals backed by glistening guitars and dreamlike atmospherics has seen them amass friends, fans and accolades across the world. With their debut s/t EP and follow up single ‘Sleep’ selling out fast, last year saw a Japanese special EP and 2 track single ‘Glow in the Dark’ released in quick succession, gaining international acclaim from the likes of Pitchfork, NME, DIY and The Line Of Best Fit whilst enjoying repeat airplay and praise from Steve Lamacq on his BBC 6music show, with Radcliffe and Maconie, Sean Keaveney, Huw Stephens and John Kennedy all giving their on-air seal of approval. Reaching out extensively across the UK, the band have honed an incendiary live show, gathering a loyal and solid fanbase in the process. They have appeared at Bestival, Kendal Calling, Beacons,Tramlines and Indietracks as well as Spanish festivals Lemonpop and Madrid Popfest and tours of Germany and Japan, sharing stages with such bands as Swervedriver, The Pains Of Being Pure At Heart and Frankie & The Heartstrings amongst countless others.